In early June the Palestinian Authority reportedly halted payments to some former prisoners – for the most part linked to Hamas – residing in the Gaza Strip. However, that move apparently had more to do with the tensions between Hamas and the PA that have also seen Mahmoud Abbas reduce PA payments for electricity and medical care for Gaza residents than with any change of policy regarding the salaries for convicted terrorists. Nevertheless, the move brought criticism from assorted ‘human rights’ groups, as documented by NGO Monitor. One of those NGOs is the Palestinian Center for Human Rights (PCHR). As our CAMERA colleague Tamar Sternthal recently noted, a Palestinian victim of a terror attack which took place at Alon Shvut junction on November 18th – Shadi Arafa from Hebron – has been falsely described by the Palestinian Centre for Human Rights (PCHR) as having been killed by Israeli forces. As readers may recall, the PCHR was one of the sources relied upon by UNOCHA for the compilation of casualty figures and civilian/combatant ratios in the Gaza Strip during the 2014 conflict between Israel and Hamas. Those figures were unquestioningly quoted, promoted – and defended – by the BBC without any independent verification. Moreover, the PCHR was the source of serious allegations concerning ‘war crimes’ which appeared in BBC content less than 24 hours after the beginning of the conflict and the organisation’s head was interviewed by the BBC on several occasions. As has been noted here previously, the PCHR is one of several NGOs uncritically quoted and promoted by the BBC which is active in the lawfare campaign against Israel. 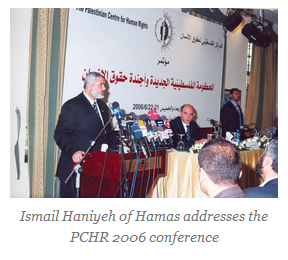 Of course the PCHR also promoted inaccurate claims concerning the cause of the death of Omar Masharawi in 2012. “Readers no doubt recall the tragic incident in which the infant son of a BBC employee was killed in November 2012 by what the BBC – and the PCHR – claimed at the time was an Israeli airstrike. It remains to be seen whether this latest example of PCHR dishonesty will do anything to convince the BBC that it is not a reliable and unbiased source of information worthy of unchallenged promotion by a corporation committed to accurate and impartial reporting. The rest of NGO Monitor’s important report can be found here. 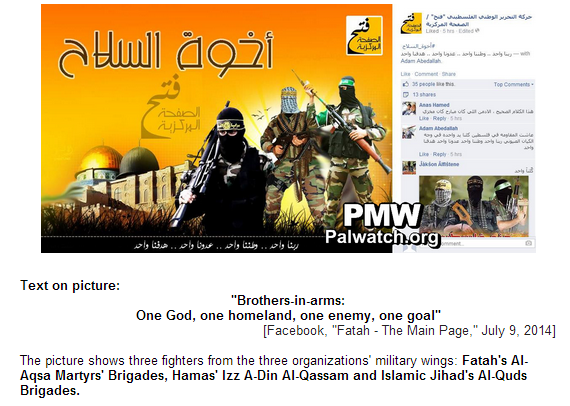 Readers no doubt recognize the names of the two highlighted NGOs above – Al Mezan and PCHR. They are two of the “primary sources” upon which UN OCHA recently told BBC Watch it relies for casualty figures in the Gaza Strip. Describing them as “United Nations” figures, the BBC in turn quotes and promotes those UN OCHA statistics without any independent verification of its own and fails to inform audiences that they are sourced from political NGOs. 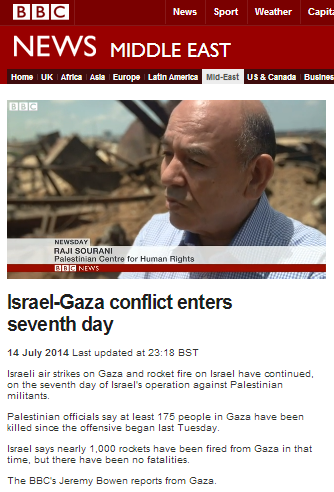 On at least four occasions since July 9th the BBC has provided a platform for the promotion and amplification of political messaging under the guise of ‘human rights’ from the PCHR’s Raji Sourani – see here, here, here and here. The PCHR and Al Mezan (together with another Palestinian NGO) had already released a joint statement on July 9th which makes their engagement in ‘lawfare‘ and their campaign to delegitimize Israel on the international stage for political and military purposes perfectly clear. They have also published individual statements – see here and here. Nevertheless, despite their clearly partisan stance, UN OCHA still uses them as “primary sources” and the BBC repeatedly lends its publicly funded resources, its outreach and its reputation to the PCHR’s political campaign. The third “primary source” for those UN OCHA Gaza casualty figures unquestioningly quoted and promoted by the BBC is B’Tselem which has also released statements on the subject of the conflict. Unsurprisingly, that organisation’s new director was featured in a video report published on the BBC News website on July 16th under the title “Israeli air strike warnings: What the footage tells us” and apparently also broadcast on BBC television news programmes. Notably, the report avoids all mention of the fact that it is a certainty that there are civilians who really are being indiscriminately targeted in this conflict – the citizens of Israel. Once again this report quotes statements from UN OCHA which there is no evidence to suggest have been independently verified by the BBC. Notably, whilst this report promotes the claims of “human rights groups” regarding Israel’s actions, it does not make any effort to present a professional legal view on the topic or to inform audiences of the political agenda of those “human rights groups”. The fact that the BBC is providing publicity, promotion and amplification for political NGOs engaged in anti-Israel campaigning through ‘lawfare’ to influence public opinion is one which is completely incompatible with its commitment – and obligation – to impartial reporting. In the past couple of days we have already documented here two instances of BBC promotion and amplification of the false claim that Israel deliberately targets civilians in the Gaza Strip (see here and here) in written reports on the BBC News website. 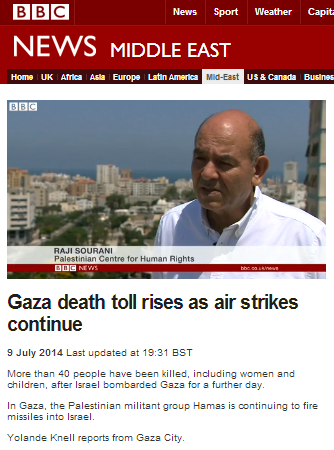 On July 9th the BBC Jerusalem Bureau’s Yolande Knell produced a filmed report – broadcast to television audiences around the world and also promoted to millions more on the BBC News website under the title “Gaza death toll rises as air strikes continue” – which amplified and promoted the same inaccurate claim from the head of a political NGO – the PCHR. In actual fact, Israel of course does its utmost to avoid civilian casualties in a territory in which terrorists fire missiles from, and store military grade weapons in, residential areas – turning the local civilian population into human shields. On three separate occasions now the BBC has deliberately amplified what it knows full well to be a lie propagated for the purpose of political propaganda. That is not accurate and impartial journalism: it is self-conscription to the public relations campaign of a terrorist organisation and its supporters. The BBC News website’s main article on the second day of Operation Protective Edge –July 9th – underwent amendment numerous times (available to view here) until reaching its fourteenth and final version. 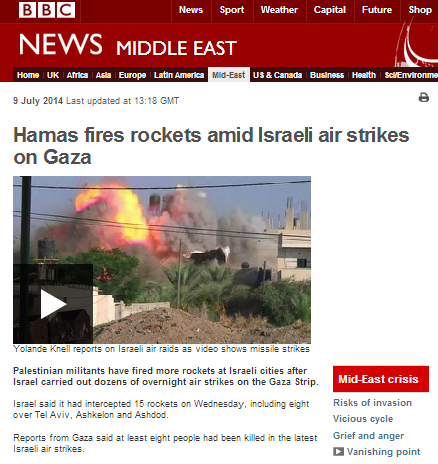 Currently going under the title “Hamas fires rockets amid Israeli air strikes on Gaza“, its first four versions were titled “Hamas fires rockets at Israeli cities after Gaza offensive”, thus misleadingly suggesting to BBC audiences that the firing of missiles by terrorists from the Gaza Strip is a response to Israeli actions, rather than the exact opposite, which is actually the case. The first eleven versions of that article used the sub-heading “War crime” – as did the previous day’s main report – in the section of the report relating to the incident on the morning of July 8th in Khan Younis in which Palestinians acting as ‘human shields’ were killed after a warning had been given to the building’s occupants to vacate the premises. The report’s final version was not updated to include accurate figures. “Some 48 rockets were fired at Israel on Wednesday, the military said. Iron Dome intercepted two rockets above Tel Aviv on Wednesday morning, three over Ashkelon and three over Ashdod. Tuesday July 8th: 117 missiles fired from the Gaza Strip hit Israel. A further 29 (not 20 as the BBC claims) were intercepted. Wednesday July 9th: 90 missiles (not 48 as the BBC claims) fired from the Gaza Strip hit Israel. A further 24 (not 15 as claimed by the BBC) were intercepted. No explanation is provided to readers regarding the origins of that M-302 missile which hit Hadera and they are not informed that a shipment of such Syrian-made missiles was intercepted as recently as March of this year or of Iran’s role in the smuggling of such weapons to the Gaza Strip. With regard to Palestinian casualties, this report does at least acknowledge that some are not civilians, although it does not inform readers that they are terrorists. “Reports from Gaza said at least eight people had been killed in the latest Israeli air strikes. Gaza officials say 35 Palestinians have now died in the recent hostilities, with 150 more injured. Under the sub-heading ‘No safe haven’, the report promotes and amplifies what the BBC knows full well to be a baseless allegation from an official belonging to what it equally well knows is a politically motivated NGO. “The head of the Palestinian Centre for Human Rights in Gaza, Raji Sourani, accused Israel of deliberately targeting civilians. In fact, the IDF usually used both methods of prior warning, as well as leafleting. 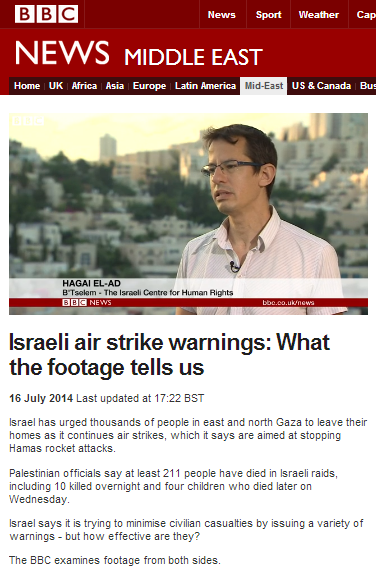 No effort is made by the BBC, however, to inform audiences of those attempts to safeguard civilians. Likewise, no attempt is made to clarify to readers that the residential buildings targeted are dual-use buildings which also serve as command and control centres for terrorist organisations and/or missile launching/storage. Equally absent from this BBC report – and other – is clarification to audiences on the issue of Hamas’ use of ‘human shields’: a practice which of course deliberately escalates the number of civilian casualties for propaganda purposes. Below is an interview dating from the first day of the operation – July 8th – on Hamas’ Al Aqsa TV with Hamas spokesman Sami Abu Zukhri in which – instead of urging civilians to take cover, he promotes the ‘human shield’ strategy. Neither is any mention made of the practice by Hamas and other terrorist organisations of storing and firing missiles in residential areas, thus endangering the local population. Another notable aspect of this BBC report is its very brief and anodyne reference to the part being played by the Palestinian Authority in current events. The BBC does not inform audiences that Mahmoud Abbas’ Fatah party has posted incitement and inflammatory messaging on its social media accounts or that Fatah’s Al Aqsa Martyrs Brigades have claimed responsibility for some of the hundreds of missiles fired at Israeli civilian targets. So as we see, in addition to amplifying Hamas propaganda on “war crimes” and the false claim that Israel deliberately targets civilians, this article deliberately avoids telling BBC audiences about a whole variety of issues of which they need to be informed in order to fully understand the subject to which the report supposedly relates.